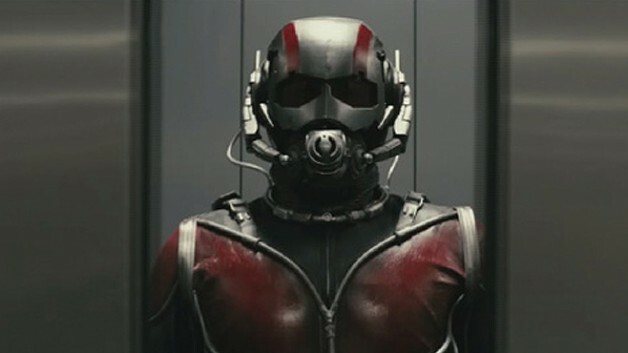 As many of you already know, some weeks ago Edgar Wright (Shaun of the Dead, Hot Fuzz) left his much anticipated adaptation of Ant-Man. Shooting hadn’t begun but Wright was already well into pre-production, having already co-written the script with Joe Cornish and having announced both major lead castings & crew members announced through his blog and Twitter account. It seemed like all signs were a go but ultimately Wright left after the studio ordered script changes by a separate team of writers that compromised his vision for the film. Another director has already been found to replace Wright and so far the studio say that they will meet next year’s summer release. It’s not uncommon in Hollywood for a director to leave or be fired so late in the game. Filmmakers either get fed up with a studio’s unwillingness to meet the demands of their vision or studios get fed up with director’s unwillingness to meet their demands for how that vision should be realised (e.g. budget, casting, scheduling). Here are our the Top 5 Most Historical Director Reshuffles. Since his success with Ocean’s 11 Steven Soderbergh’s films could be categorised in two ways – the bigger studios films like those in the Ocean’s franchise and the smaller, quirkier but more artistically ambitious pictures he shoots in between. When pre-production was well underway on the baseball drama Moneyball, Soderbergh decided he wanted to shoot interviews with real players and cut them into the narrative of the film, much like in Warren Beatty’s Reds. But the producers were a little worried. They felt the movie was taking more the shape of one of his smaller, stranger films that Soderbergh makes in between his studio pictures. He was dismissed and replaced by Bennett Miller. Similar bad luck would occur again for Soderbergh on The Man From U.N.C.L.E. based on the 60’s TV show. With issues of budget and finding a box office friendly leading man, Soderbergh hit the curb and left the project. No wonder he quit film directing. This is perhaps the most bizarre of all the examples on this list as not only was the director fired and replaced but an entire film was basically reshot from scratch. Taxi Driver scribe Paul Schrader was brought in after veteran director John Frankenheimer resigned due to health concerns. Schrader delivered his film, but it was not what the studio executives wanted. You can check out the trailer for his film version here. Schrader didn’t want to make a straight up horror movie with bucketloads of gore, he wanted to make a psychologically terrifying movie. Schrader was shown the door and Die Hard 2 director Renny Harlin was brought in. With a rewritten script, some new characters (and some old ones) the film was almost completely reshot. You can see the trailer for Harlin’s version here. While the executives made a film that they felt benefited them more the viewing public certainly didn’t share their curiosity. The cost for both films was roughly $80 million and the total gross collectively was a little over $78 million. Taking into account marketing & distribution, a picture needs to make roughly twice its budget back to break even. So that’s a devastating loss. Perplexing American artist Michael Cimino has been attached and then unattached to a variety of film projects over the years, including adaptations of Ayn Rand’s The Fountainhead, Frederick Forsyth’s The Dogs of War and Andre Malraux’s Man’s Fate. But it is The Pope of Greenwich Village that has the least amount of clarity. An adaptation of the book of the same name, various rumours state what transpired during production, Some say that Cimino was the original director of the film at either pre-production or principle photography level but was then fired over budget and scheduling concerns and replaced by Stuart Rosenberg. Others state when Rosenberg fell ill, Cimino stepped in to complete the movie. It is almost impossible to verify with Cimino himself as he has confined himself away from the American press and gives very few interviews. But this, and many stories like it, would forever plague his career- his time-taking perfectionist method of filmmaking and reckless overspending on Heaven’s Gate would forever seal his reputation as an unreliable and profligate director. Cimino hasn’t directed a full-length feature since 1996 but has been involved with and then removed from production on Footloose, Michael Collins and David Lean’s aborted film version of the Mutiny on the Bounty. Speaking of which…..
After the lacklustre critical and box-office performance of Ryan’s Daughter, David Lean would go on a 4-year journey of unsuccessfully trying to bring his version of the mutiny on The Bounty and it’s repercussions to the big screen. Intended as a two-part epic shot back-to-back and scripted by his Lawrence Of Arabia & Doctor Zhivago scribe Robert Bolt, the first film, titled The Lawmakers, involved the journey to Tahiti and the mutiny itself. The second, titled The Long Arm, would examine the mutineer’s lives and the hunt for them by the HMS Pandora. The picture was envisioned as an epic story about the seduction of men by a tropical paradise and the feuding counter opposite attitudes between Fletcher Christian and William Bligh. But as construction began for the films very expensive props and sets, concern over Lean’s continuing rising ambition for the film grew and Warner Bros., the picture’s initial backer, withdrew. Subsequent backers would be found, including veteran producers Dino De Laurentiis and Sam Spiegel, but there would be ever-growing friction between them and the contentious Lean on matters of budget, schedule, artistic control and final cut. With production continuing to languish in limbo, various financial disagreements and a hospitalised Bolt without a finalised script, Lean withdrew from the project. At this point De Laurentiis owned the rights to each of the Bolt screenplays and sealed a deal with independent production company Orion, hired New Zealand filmmaker Roger Donaldson and decided to film largely the first screenplay. The picture was released as The Bounty. Both Superman: The Movie and Superman II were intended to be shot back-to-back but, throughout the films’ incredibly long shoot, friction developed between the father & son producer team Alexander & Ilya Salkind and director Richard Donner. According to Donner, the producers wanted a more pulpy, campy movie – not the much bigger scale movie Donner had envisioned. With the huge success of Superman: The Movie the Salkinds felt they didn’t need Donner anymore, and fired him. His replacement was Richard Lester, most famous for directing A Hard Day’s Night, but who had also previously worked for the Salkinds on The Three Musketeers. At this point, approximately 75% of Superman II had been shot but for Lester’s name to legally attain credit he had to shoot at least 50% of the film. Many new scenes were shot, including an entirely different first act and ending, bringing out the more campy quality the Salkinds had initially wanted. The resulting film was a tonally inconsistent mess that was nonetheless successful at the box office. Fortunately Warner Bros. have released in the deluxe DVD and Blu-ray releases of the Christopher Reeve Superman films a Richard Donner supervised cut of Superman II, making for a glorious follow up to the first picture which made you believe a man could fly.